Andy Wacker stands a little more than six feet tall but he seems quite a lot taller because of his slender frame and narrow build. If you were to meet him at a bar, you might even mistake him as frail because of the way his shirt drapes over his lean and skinny features. And when you first meet him, he might seem somewhat timid, cautiously reserved, and perhaps even a little uncertain of himself. He won’t immediately mention that he has just returned from Switzerland, where he finished second at the 2015 Zermatt Marathon, what served as this year’s World Mountain Running Long Distance Championships. He also won’t tell you that he has covered the half-marathon distance in 1:03:25—a time well below the qualifying standard for the Olympic Marathon Trials, or that in the fall of 2014, Wacker ran an Olympic Marathon Trials qualifying time three times in less than three months by finishing three different half marathons in under 65 minutes. And he’ll probably not say that, the day after returning from Switzerland, he drove down to Colorado Springs from Boulder, Colorado, the city where he has resided since he was 18 years old, to race a 12k in the hopes of making a hundred dollars or so. Instead, he’ll order a beer and start asking about you. But after a few minutes, if you’re attentive, you’ll recognize that your first impressions of Wacker were mistaken. His frame, though thin, is masterfully built for our sport. His demeanor, though reserved, exudes knowing confidence and general happiness. Soon enough, parts of his running story sneak out and it will become clear that you are talking to a world-class runner. That’s how it happened for me, at least, when I first met Wacker this past July. The running community at large—road runners, trail runners, track runners, ultrarunners, and everyone in between—owes a debt of gratitude to the late Dwight D. Eisenhower, who created the President’s Council on Youth Fitness, which was later renamed but which ultimately established the Presidential Physical Fitness Challenge. We loved it and we hated it, but a lot of us got started with our running through this challenge, including Wacker. Without it, the collegiate All American who has now become a professional runner might never have found his way to the track, roads, trails, or any other running surface. Over the past three years alone, Wacker has completed over 70 races ranging from 1500 meters to 50k, and has won 22 of those. His wins have been diverse, including the 2015 USATF Trail 50k National Championships, the 2014 and 2015 Mt. Evans Ascent, the 2014 Rock ‘n’ Roll Denver Half Marathon, the 2014 USATF Colorado 10k Championships, and the 2013 USATF Colorado 5-Mile Championships. These wins along with his lighthearted, finish-line escapades—Wacker notoriously kicks through the finish-line tape—and enigmatic charisma, the sport of running would be at a loss without the 26 year old’s talented and colorful presence. “You know the presidential fitness test? Yeah, that’s what got me into running,” Wacker reports. That was back in seventh grade. “I was probably not a very athletic kid, comparatively. I had no years of experience with skilled sports. I guess running works well, if you don’t have that,” Wacker says with his characteristic chuckle. Andy, #502, running for The O’Neal School in 2001, his first year running. Photo courtesy of Andy Wacker. It is a gross case of meiosis to say that running has “worked well” for Wacker. The more accurate truth is that since Wacker found his way to the sport, his road—or track, or trail, or whatever surface he finds himself on—has been paved with gold. Case in point: Wacker acquired a combined 12 varsity letters between his high school cross-country and track careers. After moving from his town of birth, Humble, Texas, to North Carolina at a young age, Wacker eventually began his running career at a private school so small—it had maybe 100 students total—that, as a first-year runner in seventh grade, he found himself on the varsity cross-country and track teams. Wacker did more than pretty well while running as a kid. In seventh grade, he was one of the top finishers at the high-school cross-country state meet, even though, as he recalls with a laugh, “[I] was running an 18-minute 5k, or maybe even slower, like a 20-minute 5k.” Over the next few years, he was consistently one of the best in the state in the small, private-school division. But Wacker’s success wasn’t limited to a small stage for long. By his junior year of high school, he had transferred to a large public school—for academic as well as athletic reasons—where he competed in one of the biggest and most competitive divisions. There are a certain few people in every endeavor who have the ability to consistently rise to challenge. When more is demanded of them, they dig deeper and find a way to the top—or very near to it. This is perhaps one of the most captivating things in all of sport: those instances when a team or an individual becomes more than they were before, they do something that they have never done before, or they reach a new level that previously seemed impossible. In sport, these sorts of tenacious and remarkable athletes are sometimes referred to as “gamers.” When the competition heightens, gamers do whatever they have to do in order to outperform everyone else. If Andy Wacker is anything, he is a gamer. But like any gamer, when more was eventually demanded of him, Wacker performed. After he transferred from one of the least-competitive high-school divisions in North Carolina to one of the most competitive, the workouts became more rigorous and demanding and the races became faster and more competitive. Wacker remained a stalwart presence at the top of the competition, all the same. During those last two years of high school, when he was competing at a much higher level, Wacker saw increasingly bigger gains in his performances. “I think going to public school and having people to train with and having a real track made a big difference—I mean to some extent, running is running. But it helped to start doing real workouts instead of made-up stuff,” he assesses. His success in high school was only the tip of the iceberg. When Wacker was offered a small scholarship at Colorado University-Boulder (CU), he gladly turned down full scholarships at other universities for the chance to run with the Buffaloes—then, and now, one of the premier programs in the country. “I loved CU [after visiting for a running camp in high school]. I knew it was going to be the place for me,” Wacker fondly recounts. Perhaps the gamer had a sense that he needed only to find a more competitive environment in order to improve further. Andy leading the “CU train” in 2010. Photo courtesy of Andy Wacker. In the end, it can safely be said that Wacker’s improvement during his collegiate years came relatively quickly. By the end of his first year, he saw a glimmer of hope by running a 5k in 14:30, a new personal best by about 30 seconds. Then his improvements came steadily, and ultimately in huge quantities. By his second year at CU, Wetmore not only failed to pull Wacker from workouts, he began to see the transformation of Wacker from red-shirt freshman to national-class competitor. Wacker rapidly ascended the ranks of the CU-Boulder cross-country and track teams in a few short years—improving from his self-proclaimed status as “the worst runner on the team” to the second-best runner—while twice achieving All-American status in cross country. The gamer kept doing his thing. Running professionally is a difficult undertaking. If the physical requirements of day-in, day-out training aren’t enough, the limited financial opportunities—as compared to those in many other sports—make full-bore professionalism a near impossibility for all but the elites, comprised largely of Olympians, at the very upper-echelon of running. It remains to be seen if Wacker will ultimately reach this zenith, but in the meantime he has rightfully established himself as a sub-Olympian elite who can, at least in part, make a living from running. He still seeks other forms of income. 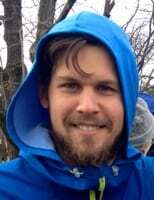 Since graduating from CU in 2011 with a Bachelor of Science in ecology and evolutionary biology as well as integrative physiology, and then in 2013 with a Master of Science in integrative physiology, Wacker has spent considerable time searching for employment opportunities outside of running. Unfortunately, as it turns out, his aptitude for non-running occupations seems stunted. “You can do a lot with [a Master of Science in integrative physiology], but I know that you can’t get a job at Starbucks and you also can’t work at any boring desk job. It’s really bad because right out of grad school I applied to 25 really easy jobs and none of them hired me. They all had posted openings. I think they were just worried that I was overqualified and wasn’t going to be sticking around. But, yeah, I don’t know [laughs], it’s kind of funny. I worked at Whole Foods for a short time. Actually it took me three times—I applied there three times before I got hired,” Wacker facetiously remarks. With persistence, he has managed to find some part-time work to supplement his running income, which results in an eclectic lifestyle that he vocally prefers. “I like to be balanced. I wasn’t one of those people [in college] to say, ‘I’m not a student-athlete, I’m an athlete-student.’ I’m not one of those people [laughs]. I don’t think of myself as a professional runner—I mean that’s not the only thing I do. Until a month ago, I had four jobs. I guess technically I am a professional runner, but—for example, I read this book about Michael Phelps, and it was so depressing. Basically, [Phelps] is like, ‘Yeah, I don’t like training. I have to be in a pool for six or seven hours a day and it’s extremely mentally challenging to push myself through this every day.’ I was like, ‘That is not my experience at all!’ [laughs] It’s not like work, and it’s not like a job, and it’s not like—I mean, it’s definitely difficult, training at an extremely high level. My life isn’t as ruined, or whatever, by this strict regiment of training. I guess it’s one reason why I don’t think of myself as a professional runner,” Wacker elucidates. Wacker continues, “So, I am very serious about running, just not to the point the it ruins my life. By that I mean that if all of a sudden I were hurt, my life would still have something to it. I have other interests, other ways of enjoying myself. I like to ski on difficult terrain, ride my bike up and down canyons, drink beer, swim in the ocean, play fetch with hyper dogs, and photograph strange Rocky Mountain creatures. If I want to do one of those things, I won’t let an easy run get in the way. So, I’d rather have fun and go ski, even if it means taking a day off running and risking getting hurt skiing. Wacker is anything but a one-way street with singular interests. And like his myriad interests, his occupations today are also multifarious: he tutors high school students in math and science, coaches, works at Roll Recovery and, of course, runs. If his work and interests external to running have affected his training, it sure doesn’t show. Aside from notable performances on the road this year, including a 65-minute half marathon back in January, a repeat win at the aforementioned Mt. Evans Ascent, and a second-place finish at the Mount Washington Road Race, Wacker has been triumphant on the trails in the second half of 2015. After failing to qualify for the six-person U.S. Mountain Running Team back in 2013 when he finished seventh at the US Mountain Running Championships in New Hampshire, he finished second at the 2015 US Mountain Running Championships in Oregon (interview) before representing the U.S. at the 2015 World Mountain Running Short Distance Championships in Wales a few months later en route to finishing 13th overall and second American. Meanwhile, Wacker found success on the trails at shorter distances, evidenced by his come-from-behind win at the 2015 Barr Trail Mountain Race after he started the race seven minutes late, and longer distances, evidenced by his victory at the 2015 Headlands 50k—his first-ever 50k and the host of the 2015 USATF 50k National Championships—his second-place finish at the previously mentioned Zermatt Marathon, and his 14th-place finish at the Jungfrau Marathon in Switzerland. His success on such diverse terrain, at such variable distances, and with such frequency seems to redefine the metaphysical barrier between possible and impossible. For the gamer, it’s simply the result when he battles against top competition at the races he is passionate about. “I like all of them; I like all the different disciplines of running. I really like trails, cross country, getting on the track and running fast times—I like the roads. I can incorporate them all in different seasons. But who knows, we’ll see what happens. I’ve got to do what I’m passionate about,” Wacker explains enthusiastically. So, what’s next for Wacker—where will his path lead him next? “[My mom and I] used to have a conversation where—this was after years of being a professional—she would be like, ‘Why don’t you play tennis? You should play tennis, just for fun. You shouldn’t run, it’s kind of hard—go play tennis, go doing something fun like that.’ I was like, ‘Mom, I would, but I’m not going to be a professional tennis player.’ And she’s like, ‘You don’t have to be a professional. You know, just play once in awhile,’” Wacker narrates as he and I cackle loudly throughout. For the time being, it seems like the gamer and serial racer will keep participating in races of all distances and on all surfaces. Last month, Wacker pulled off a two-day racing spree in which he ran the Lake Padden Trail Half, host of the USATF Trail Half Marathon National Championships, on Saturday, finishing second among a strong field in 1:22:12, before doubling back to finish the Rock ‘n’ Roll Denver Half Marathon in 1:09:55—good for fifth—on Sunday. Andy easily won the national championship trail half marathon in Bellingham, WA today. He not only beat a good field, but everyone running today beat by a few hours a ferocious windstorm, with gusts up your 70 mph forecast. If the storm had hit earliereply and the race wasn’t outright cancelled, Andy might have had his introduction to steeplechase with all the fallen trees to hurdle.